Security forces in Tehran broke up demonstrations by a group of Basij youth against Iran's recent oil agreements. The protests had been planned for Friday in front of the Ministry of Oil offices. INSA reports that the special riot police were deployed in front of the building to stop illegal demonstrations. The police had warned that any protests without the appropriate permits would be stopped. 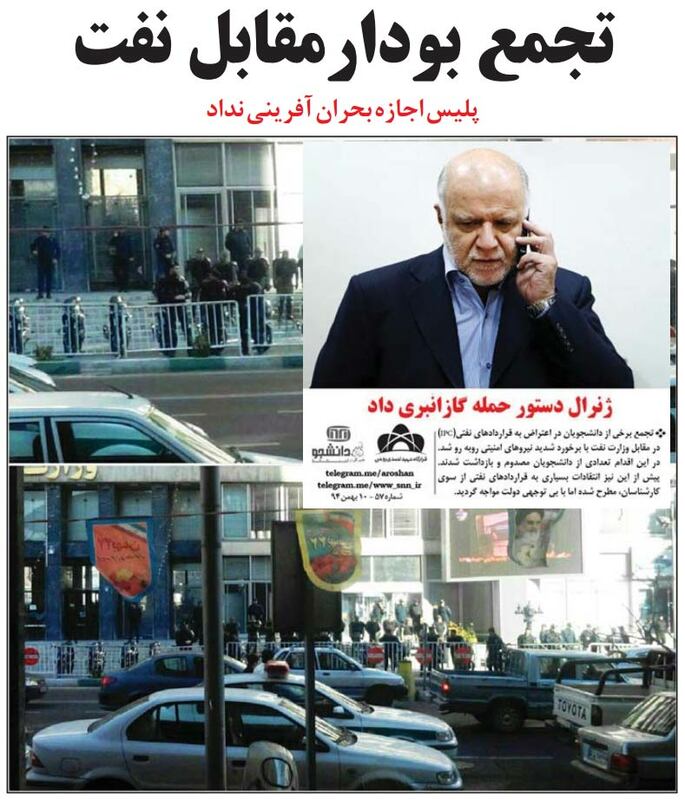 The Tehran governor's office had also announced that the demonstrations did not have the necessary legal permits. Basij-linked websites and social media report that the police have arrested a number of the Basij students. The Fars News Agency, which is linked to the Revolutionary Guards, reports that after the male students were arrested, the women continued to protest and chant slogans against the oil agreements. 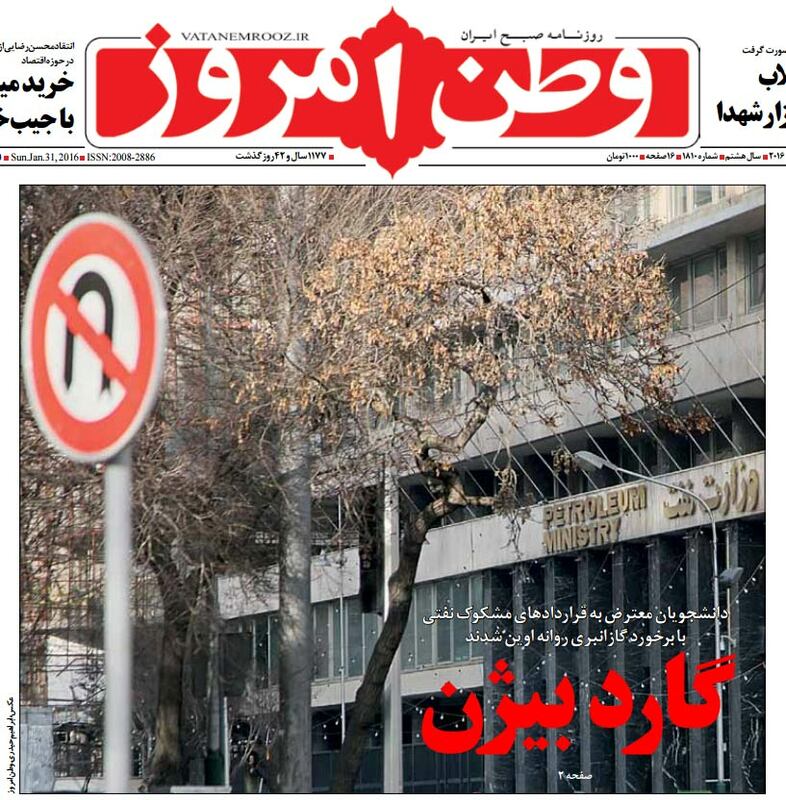 IRNA reports that there were about 40 to 50 protesters in front of the oil ministry. After the clearing of international sanctions against Iran, foreign investors are interested in entering oil deals with Iran; however, a number of groups such as the IRGC are critical of these deals and claim they are counter to long-term national interests.